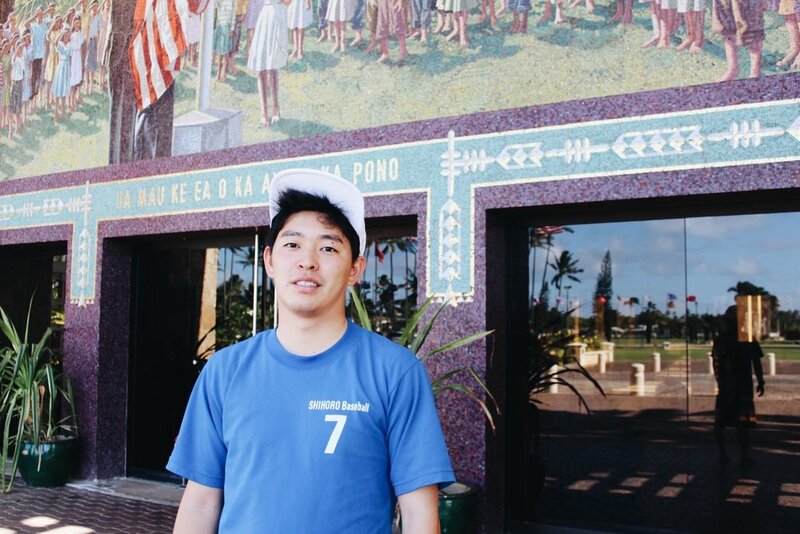 Takuya, a recent graduate of the Intercultural Peacebuilding Program, fulfilled a project in which he returned to his home country to teach principles from the Arbinger Institute in local Junior High Schools. His hope was to give some fresh perspective on how to see others around you and to reduce the amount of bullying in schools. Read about his amazing experience below. "Since my dad works at the high school [in Japan] he has a lot of connection to students at the school. He’s a very well known teacher there, in Hokkaido. Using that connection I wanted to introduce the Arbinger Institute to the school. Something that we noticed in this part of Japan is that they have a program that teaches principles similar to what comes out of the Arbinger Institute, they call it “Moral Standard Class.” They teach moral standards in relation to how to treat other people, bullying and things of this nature. However, still, even with these types of programs in Japan, I don’t often see the students taking these lessons into themselves. One of the biggest issues within the schools is bullying. I think that the Arbinger Institute would actually help them to “see people as people” because if people don’t “see people as people” these types of issues are only going to keep happening or being more likely to happen. In Japan, also, all of the issues of that involve bullying are heavily focused on the person that is bullied or the victim. The person who is doing the bullying is not often the focus. Even with all of the Moral Standard Classes, this issue has yet to be solved or to be reduced to fewer incidents. My friend and I decided that it would be a good idea to introduce Arbinger principles in the form of a workshop for students that would be well understood and received. We did this in hopes of attracting more people to the ideas of the Arbinger Institute. We believe that it would do so much to help not just the victim but also the person that was committing the bullying. I believe that the bullies there in the school have a lot of things that could be helped as well, they should still be seen as people. In the seminar that we constructed, our main focus was on “seeing people as people.” We taught the students what an outward mindset looked like and how to adopt one. We focused less on the “Box” theories of Arbinger, because this may have been too complicate to teach. We also did a fair dose of mediation instructing and practicing. I think it was all received very well. Because the issue of bullying maybe wasn’t ever addressed in this way, it was a fresh perspective that a lot of students took to very well I think. There were many people that were interested in the principles of Arbinger in which I referred them to the Institute as well as gave them books from the Institute that had been translated into Japanese. I have some recommendations for the students who are in the Intercultural Peacebuilding program or for prospective students. I took IPB 121 just recently with Chad Ford- near the end of my graduation- and that was the first time I ever had a class with him. It was the first time and the last time I was privileged to learn from him as a professor. I regret not taking more courses from Chad and not having a better student teacher relationship with him. With his class, I gained incredible new perspectives. If you ever have a chance to have a class from him, I truly recommend taking them! He also has a lot of connections to various places in the world, for help in future careers of Peacebuilding. Although I graduated as a Peacebuilding Major, I got many offers upon my graduation to work in the force of sales and marketing because I also have a Communications emphasis. After I took the Peacebuilding classes I came to a personal realization that the jobs that help generate sales and money don’t often have the focus of helping others change for the benefit of the world. I kind of realized that if you really want to have a true impact on people you have to understand the people… and not the money. I decided to decline the 5 job offers in sales and go to graduate school. I want to pursue communications to go and work for an NGO in Japan which has a department entitled “Peacebuilding.” I dream of bringing Arbinger here and bringing my Peacebuilding skill with me. That’s my plan."